Apple to launch iOS 5 at event in early April? 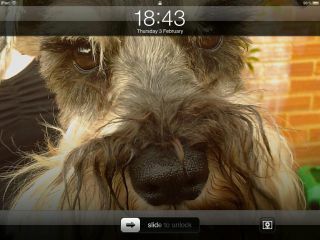 Will iOS 5 make more of the lock screen? A German blog is claiming that 'trusted sources' have said that we'll see iOS 5 and MobileMe updates revealed at an Apple event in April. While we're still awaiting the release of iOS 4.3, which did not happen last night as other 'trusted sources' had promised it would, eyes are turning now to the next major iteration of iOS. Still, this rumour has better legs to stand on; iOS 4 was announced in April last year so an April 2011 event would be in line with Apple's software cycle. Rumoured updates to the major new OS include a new notification system, but we're also hoping for some more 'post-PC' type features, like wireless sync and better multitasking – and a whole bunch of other stuff too. Macerkopf.de's sources have also said we'll see new MobileMe features announced at the event, probably including social and location-based services and possibly music-streaming from cloud storage. And, as the German blog points out, once we know what's what in iOS 5, we should be able to make some pretty good guesses at some upcoming iPhone 5 hardware features.